Last month I spoke at the inaugural meeting of the Parliamentary Friends of Regional Arts, in my role as Chair of Regional Arts Australia. Parliamentary Friendship Groups are formal bipartisan meetings of elected members to discuss a topic of common concern. The Parliamentary Friends of Regional Australia provides a ‘forum for Members and Senators to meet and interact to gain an understanding about the importance of arts and culture as a driving force in maintaining robust and sustainable communities in regional Australia’. 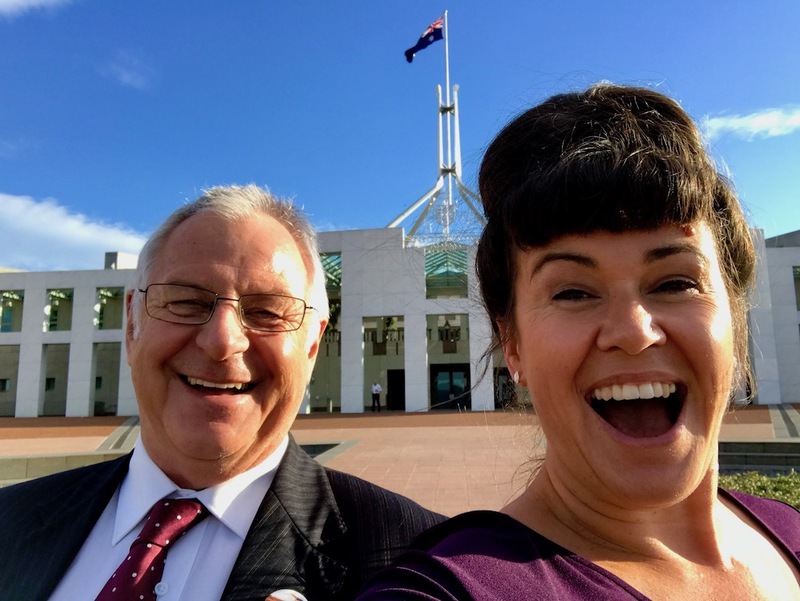 My local member, Rick Wilson, attended the meeting and the next day very kindly spoke in Parliament about the work I am doing across arts, culture and regional development. I was really touched to have been acknowledged in this way, and proud that I can play a part in highlighting the exciting cultural and artistic work happening right across regional Australia. 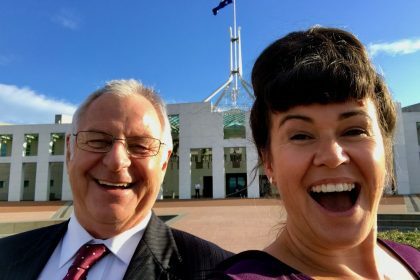 Mr RICK WILSON (O’Connor) (16:27): I want to take the opportunity today to highlight the impressive achievements of a constituent from my electorate, Kate Fielding, who is in Canberra this week. Kate is in Canberra, alongside Lindy Hume, as a guest speaker at the launch of the Parliamentary Friends of Regional Arts and Culture group. I managed to attend the launch here in Parliament House and I caught up with Kate before her presentation. She describes herself as a cultural strategist, but the work she delivers for the community is extremely diverse and is work that deserves recognition. Kate lives in Kalgoorlie-Boulder, one of the largest regional centres in my electorate of O’Connor. 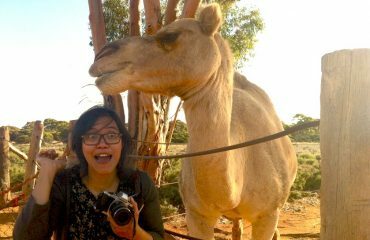 She has been a passionate advocate for developing the arts not only in the Goldfields-Esperance region but throughout regional Australia. She was appointed as director of Regional Arts Australia in 2011 and subsequently became the chair in 2014. Through her position, Kate has been at the forefront of discussions regarding both the challenges and opportunities of supporting arts in the regions. In late 2016 Kate was instrumental in organising Warburton Fashion Week, a celebration of local style and culture deep in the West Australian desert. For those outside of Western Australia, Warburton is a remote Aboriginal community nearly 800 kilometres north-east of Kalgoorlie- Boulder and some 1,500 kilometres north of Perth. It is the population centre of the Ngaanyatjarra Lands, with around 1,800 permanent residents. 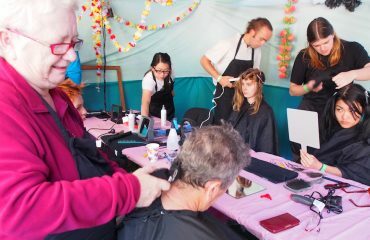 Warburton Fashion Week is unequivocally Australia’s most remote fashion event and is a wonderful example of creative ways to celebrate and promote arts and culture in the most isolated parts of Australia. Kate’s talents have been recognised at the highest level in Australia. 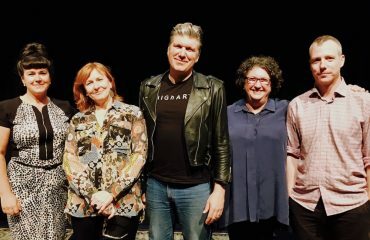 In November the Minister for Communications and the Arts, Mitch Fifield, appointed her to the board of the Australia Council for the Arts. The council is our peak statutory body in arts and culture and provides advice to the government in the shaping of national policy. Kate’s appointment is extremely encouraging to those of us from regional Australia. To have her presence on a board that is responsible for making the arts more visible and accessible to all Australians will undoubtedly benefit rural and remote Australia. And, of course, I am particularly pleased to see someone from my own electorate taking on such a significant role. Outside of her creative projects, Kate is also chair of the Goldfields-Esperance Development Commission. The GEDC is responsible for overseeing the distribution of state government funding and supporting economic growth in the region. It is a role of great importance and one I am sure she will perform with great success. Kate’s impressive achievements were recognised at a statewide level when she was named a winner of WA’s 40under40 business leaders earlier this month. Needless to say, she was selected from an extremely strong field of candidates. As a regional MP I am always pleased to see passionate and talented people working to improve the quality of life in regional Australia. I want to publicly congratulate Kate on her work throughout O’Connor and nationally, and I look forward to assisting her future endeavours wherever possible.